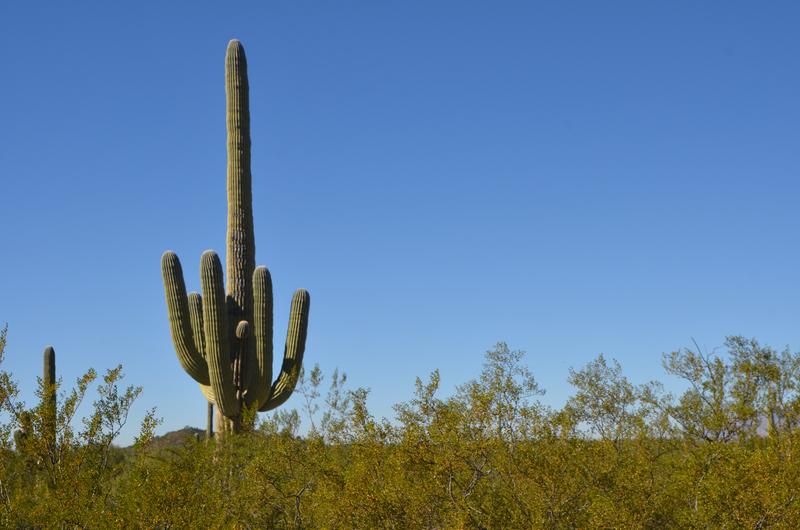 November 20, 2015 – Near Tucson AZ – The saguaro is that large iconic multi-armed cactus that grows primarily in Arizona. 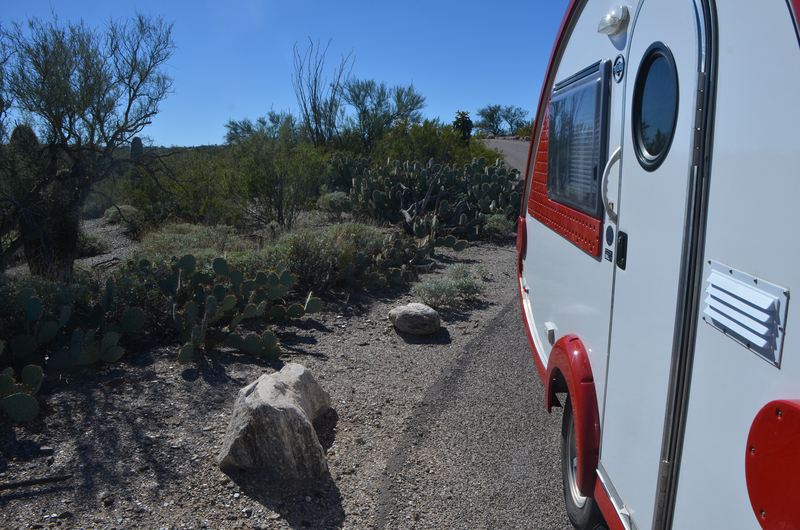 Saguaro National Park is divided into two parts, east and west of Tucson. I visited the Eastern “Rincon Mountain District” portion on my drive through. If I had time I would have visited both although the auto tour was more the thing for this trip. The park is just a little off the main road, and is an easy side trip. I wouldn’t have wanted to pull a trailer any bigger than mine through this drive. Not many places to stop. But the number of folks out here with me made that less of an issue. I stopped a couple of places where I could take up the one long parking spot or a bit of wide road where several cars might normally have pulled over. Near the end of the drive there is a picnic area that makes for a nice stop and has a bit more parking, but there was no place to park near the visitor’s center. Flowering Barrle Cactus, flowers can be red orange or yellow. The backlit cactus has an aura of lit spines around it. I saw this a lot in places where I couldn’t stop for a photo. Javelina Rocks, but none of these “Collared Peccaries” to be seen today. Probably resting in the heat of the day.